Welcome Canadian Cross-Border Shoppers! This site started with a Blog in 2010 in response to all my American friends telling me that Canadians have "FREE" Healthcare. 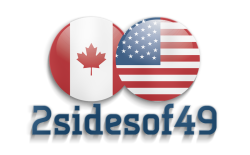 As you all know nothing is free, especially our health care, so I started writing my Blog 2sidesof49.wordpress.com detailing the differences in our Taxes, Travel Costs, Cost of Living and especially the difference in Canadian and U.S. Retail prices. Most Canadians are fed up with paying higher prices than our neighbors to the south just because of where we live! Enjoy your visit to 2sidesof49 and my Blog where you will read informative and money savings tips. Want to enhance your cross-border shopping experiences and, ultimately, allow you to keep more of your hard earned cash? 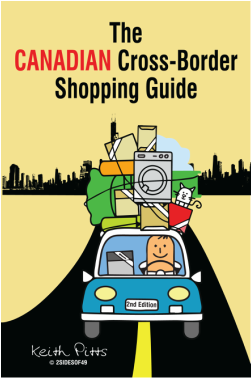 The CANADIAN Cross-Border Shopping Guide "Second Edition" is only $16.95. 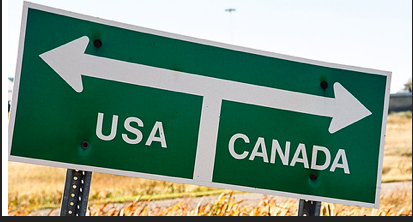 If you’re a resident of Canada who prefers to do the bulk of your shopping in the U.S. you’re in luck because The Canadian Cross Border Shopping Guide explains everything to you that you ever needed to know about purchasing items in the U.S. and bringing them home to Canada. Whether you purchase or are looking to purchase clothing, food, electronics, toiletries, alcohol or almost anything else you can think of this guide will explain to you how to do it in order to be able to save the most money. The guide is especially helpful when it comes to booking travel to and from the U.S. You’ll get tips on booking hotels and rental cars and finding the best deals on airfare.